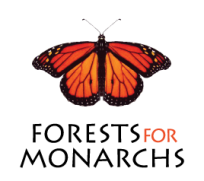 Forests for Monarchs - La Cruz Habitat Protection Project, Inc. 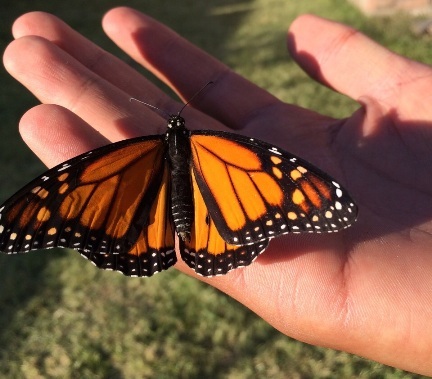 The protection of the monarch butterfly is in your hands! By helping us to reforest, you are protecting the monarch butterflies and their overwintering habitat in south-central Mexico. One of our Facebook page followers wrote: "Here in Bloomington, IL at Stevenson Elementary our students and staff are very aware of the Monarch butterfly, and even have a garden habitat for them. Here we know that they lay their eggs on the milkweed plant. I, however, didn't realize that when they fly to Mexico every fall, they are in need of trees to be planted in order for them to live and continue their life cycle." How many trees would you like to donate today? Donate 100% - Add 3% so that 100% of the donation goes to Forests for Monarchs - La Cruz Habitat Protection Project, Inc..
Forests for Monarchs - La Cruz Habitat Protection Project, Inc. has partnered with Network for Good to securely process your online credit card payment via Network for Good (tax ID 68-0480736). This transaction will appear on your credit card statement as "Network for Good." This transaction is subject to Network for Good’s Privacy, Security & Disclosure Statement and the Charitable Solicitation Disclosure.